SAS HARD DRIVE. WIPED READY TO USE. FULLY TESTED. DELL Seagate 400Gb 3.5" 10K SAS Hard Disk Drive ST3400755SS. Seagate Part No ST3400755SS. 16MB Buffer. Dell Part Number 0GY583. Fully tested and working with no bad sectors. This hard drive has been fully tested and professionally data-wiped. P/N ST3400755FC. Seagate Cheetah NS 400GB FC 3.5" HDD 10K. Main Detail. Any hard drives (if included) have been data wiped and work. Model: ST3400755SS. Make: Seagate. HDD Type 3.5 SAS. HDD Speed 10k. Type: Hard Drives. Part Number 9EA066-042. Category Seagate HardDrive. Interface SAS. Rotational Speed 10K RPM. Windmill Place, 2-4 Windmill Lane. Technical Specifications. Ending Soon. Picture is of one of the drive from batch we have. Model ST3400755SS. Storage Capacity 400GB. Interface SAS. Rotation Speed 10000RPM. Warranty covers hardware only. Software support is NOT provided. Grade F For Parts or Not working. Grade E Tested for Power Only. Storage Capacity 400GB. Interface SAS. Hard Drive Cache / Buffer 16MB. All hard drives are fully tested by performing a HMG Infosec Level 5 wipe on them. Rotational Speed 10000RPM. Everything is fully tested unless otherwise stated. Favorites list ! Be sure to add us to your. Check out our. Desktop Hard Drives by RPM, Interface Speed, and Cache Extensivetest procedures. We operate in 10000 sqft warehouse. Desktop Hard Drives by Capacity All our hard drives are fully wiped using professional data erasure tools. This is a genuine Dell Seagate Cheetah NS 400GB 10K SAS hard drive. tested and fully working. removed from a working poweredge 2900 server. Also includes the caddy. Dell PowerEdge 1950. Dell PowerEdge 2900. Storage Capacity - 400GB. Shape Systems Ltd was established way back in 1993 using our experience in the mini systems market. Originally we globally supplied HP 9000, 3000 & 1000 systems & Wang to the corporate market, maintenance & dealers. Modell ST3400755SS. Speicherkapazität 400GB. Marke Seagate. Made with?. by Stolems. WE HAVE EVERYTHING TO SERVER. Important Information. Model: ST3400755SS. Model ST3400755SS. Dell Equallogic 400GB 10K SAS Hard Drive. Interface SAS. Features Hot Swap. Rotation Speed 10000 RPM. Boardroom Technologies will provide top level service and will do everything in our power to satisfy all your needs. Rotation speed and storage size are essential, and theDell GY583 Hard Disk Drive is the perfect addition to your system's growing storage needs. Storage Capacity 400GB. Interface SAS. Part NumberGY583. 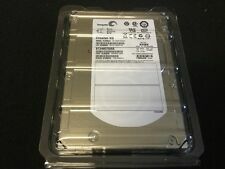 Seagate ST3400755SS 400-GB 10K 3.5 3G DP SAS HDD. Manufacturer Part# ST3400755SS. Part Number ST3400755SS. Category Seagate HardDrive. Manufacturer Seagate. Generation SAS. Interface Serial Attached SCSI (SAS). It maintains performance throughout the life of the drive and reduces the probability of lost data. Storage Capacity 400GB. Rotation speed and storage size are essential, and theDell 9EA066-080 Hard Disk Drive is the perfect addition to your system's growing storage needs. Interface SAS. Part Number9EA066-080. MODEL NUMBER: ST3400755SS. MPN ST3400755SS. Storage Capacity 400GB. Interface SAS. HPE 400GB 10K FC EVA M6412 HDD AJ711A. AJ711A / AJ711 / 466277-001. HP 400GB 10 K FIBRE CHANNEL EVA M6412 3.5IN HDD. UNITS MAY HAVE SCRATCHES ON DRIVE SURFACE . NEED YOUR ITEM SOONER?. We gurantee the BEST products at the LOWEST market price. 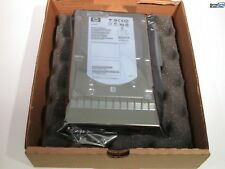 NEW HARD DRIVE Seagate ST3400755SS 400GB SAS 10K 3.5"
Seagate ST3400755SS 400GB SAS 10K 3.5". Capacity: 400GB. Interface Type: SAS / Serial Attached SCSI. Disk Size: 3.5"x1.0" (Low Profile Hard Drive). Spindle Speed: 10,000RPM. Failure to correctly apply BIOS/firmware updates. The warranty covers the original hardware only AND NOT SOFTWARE. The warranty will not apply if WARRANTY INFORMATION. any warranty seals have been broken or altered;. Rotation speed and storage size are essential, and theDell MM407 Hard Disk Drive is the perfect addition to your system's growing storage needs. Storage Capacity 400GB. Interface SAS. Part NumberMM407. Seagate model: ST3400755SS. interface: SAS. capacity: 400 GB. manufacturer: DELL. form factor: 3.5". rotation speed: 10.000 RPM. Model: ST3400755SS. Seagate 400GB 10K RPM SAS HDD with Caddy 94558-01. Size: 400GB. Interface: SAS. Speed: 10K RPM. Form Factor: 3.5". Item Condition USED. UP FOR SALE. DP/N 0MM407. Modell ST3400755SS. Data transfer rate 3GB / s. Drive interface standard 3 GB / s SAS. Drive Interface SAS. Cache 16MB. Type Internal HDD. Storage capacity 400 GB. Rotation speed and storage size are essential, and theSeagate CM589 Hard Disk Drive is the perfect addition to your system's growing storage needs. Storage Capacity 400GB. Interface SAS. Part NumberCM589. Part Number :459508-B21. Condition : Clean Bulk Pull. Dp/n: 0H438D. interface: SAS. capacity: 400 GB. manufacturer: DELL. form factor: 3.5". rotation speed: 10.000 RPM.